In her brand new Netflix special, comedian Amy Schumer revealed her husband — chef Chris Fischer — had been diagnosed with autism. And in an appearance on Late Night With Seth Meyers, the always candid actress opened up even further, explaining that she and Fischer made the decision to go public together to smash the stigma that tends to come with the diagnosis. The actresses’s self-dubbed pregnancy special, Amy Schumer Growing, charges into new comedic territory for her. Schumer hits on her challenging pregnancy and struggle with hyperemesis gravidarum (HG), a condition that causes extreme nausea and vomiting, as well as her marriage marriage to Fischer and the couple’s experience following his diagnosis. Schumer said Fischer’s personality quirks — possibly connected to autism — are actually what made her fall so hard for him. “I wouldn’t trade him in for anybody,” Schumer said, beaming. Thanks for having me on @latenightseth and I’m so thrilled that so many publications had women write reviews for my special! 👊🏼💪🏾Chris and I are overwhelmed but the love and support from this special. I’m so grateful and proud as hell. Thank you for posting about it! I’m reading them all! Thanks for my makeup @andrea_tiller and my hair @cailenoble and my dress @chloehartstein and the costume dept for my fake bump! 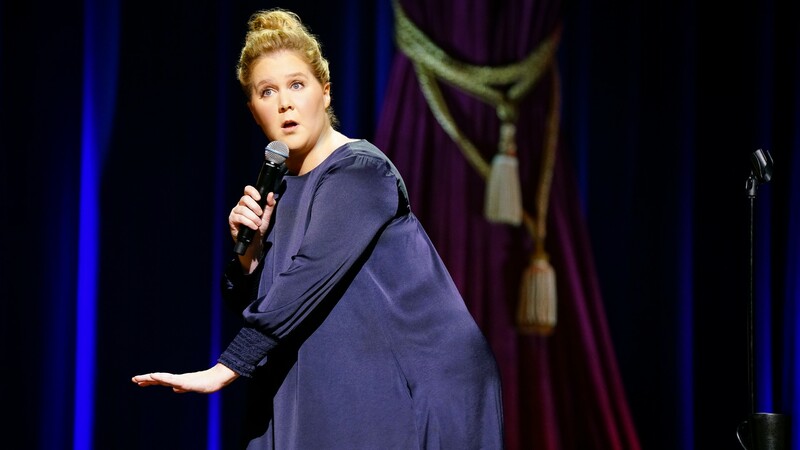 Amy Schumer Growing is now available to stream on Netflix. What are you waiting for?